Is a DUI Considered a Crime in Georgia? Because some people are from other states where a traffic violation MAY be an “infraction,” some drivers who get charged with a red-light violation, stop sign ticket, or a super speeder GA citation misjudge the potential severity of Georgia laws. Every “moving violation” is a misdemeanor, NOT an infraction. 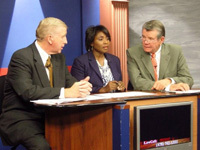 For commercial drivers, underage drivers, and repeat offenders of Georgia traffic laws, license suspension and much higher insurance rates may be your least important issues. Every DUI in Georgia is a criminal offense, misdemeanor or felony. Even for first-time DUI offenders, no Georgia statute permits the person charged to utilize diversion, a deferral, conditional discharge or expunction of a DUI in GA. For these reasons, our DUI law firm in Georgia approaches every pending drunk driving case as an opportunity to achieve a DUI dismissal or a reduction of charges to a non-DUI disposition (e.g., DUI reduced to reckless driving). Is a First Time DUI Offense a Felony in GA? Potential clients often ask, “Is a DUI a criminal offense?” Due to the life-changing experience of being cuffed, and taken to jail, people are convinced that a DUI is a felony. Possibly, but not often. To be a felony, the driver would have to kill or seriously injure another person. That person can be a passenger, a pedestrian, or any person in another vehicle. Using a 10-year “lookback” period, 1st offense, 2nd DUI, or third offense DUI will be misdemeanors. Read more below. All Georgia DUI attorneys know that police assigned to vehicular homicide Georgia cases are well-trained. When a death or serious bodily injury in a traffic offense occurs, the law enforcement officer should not merely issue a traffic ticket to the driver suspected of being impaired. If an implied consent refusal has taken place, securing a judicial search warrant for blood is routine and expected. When it comes to driving under the influence, two states have non-criminal DUI-DWI-OWI laws and call their DUI charge either “quasi-criminal” offenses or civil offenses. 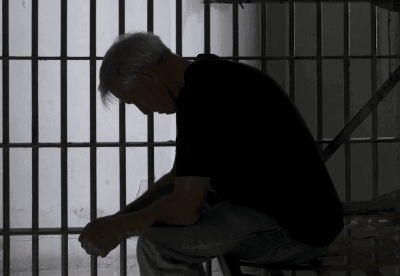 However, the impact on your criminal record and long-term consequences all turn out to be the same as states that make drunk driving or drugged driving conviction a criminal offense. Georgia makes EVERY DUI a criminal offense. When did you last smoke weed? All law enforcement officer questions are designed to INCRIMINATE you. 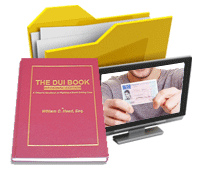 The answers that you give will provide enough evidence to support an arrest for DUI. This arrest does not require proof beyond a reasonable doubt, as is mandated at trial for a criminal offense. Once you talk, your likelihood of going to jail increases for a DUI fatality or serious injury by a vehicle accident, for DUI-alcohol or DUI-drugs. If the detained driver refuses to be tested by a breath alcohol test, he or she will likely be subjected to a forcible DUI blood test, pursuant to a search warrant. Georgia DUI laws have authorized a DUI officer b to seek a warrant since 2006. Is Your First DUI a Felony in Georgia? The previous sections have educated you about the rare, but possible, scenarios for felony DUI indictment. A driver involved in an accident causing serious physical injury to another, or any death, should remain silent and NOT TALK. The driver should only give his or her NAME and ADDRESS. Remember that Miranda rights are generally not required until you are arrested and cuffed when it comes to police questioning at an accident scene. 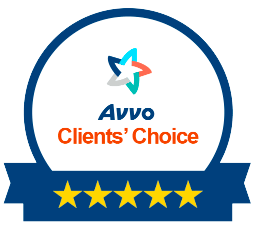 Remaining silent is the best universal advice from a DUI defense lawyer. 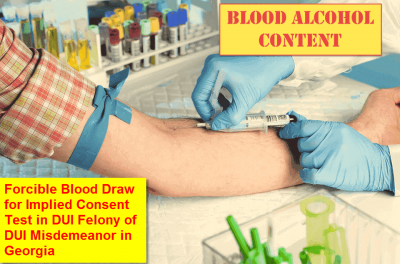 If police collect your blood using a warrant, this search warrant may NOT be legal if it was not based on probable cause to suspect driving while intoxicated. Is getting a DUI a felony? Not in most drunk driving cases, as is covered above. Absent a car accident with injuries or death to another person (in your vehicle, another vehicle, or as a pedestrian), the answer to “is your first DUI a felony?” is NO. Drunk driving still a criminal offense that requires expert legal representation from a DUI lawyer in Atlanta to achieve the best possible outcome. Twelve months of probation, deducting any hours (or days) spent in jail following your DUI arrest. Drunk driving defense book author William C. “Bubba” Head is an Atlanta DUI lawyer. The UGA grad is a 43-year veteran criminal defense attorney Atlanta and NCDD Board-Certified impaired driving defense expert. 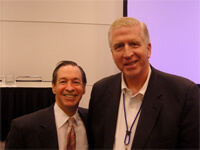 His criminal justice law partners, Larry Kohn and Cory Yager, operate a DUI law firm with multiple office locations in Atlanta, Georgia. So, our law office can assist you (or a loved one) on a first offense DUI, a 2nd DUI in GA, or any other repeat DUI offense. Plus, no other DUI lawyer in Atlanta has handled more vehicular homicide Georgia cases, or serious bodily injury GA cases. 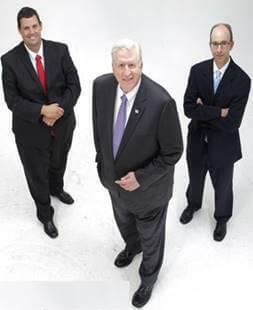 So, when you, a close friend, or family member needs the most aggressive, experienced and determined DUI lawyers, contact Larry Kohn, DUI lawyer Atlanta, Cory Yager, and veteran criminal defense advocate William “Bubba” Head. Mr. Kohn and Mr. Yager were each invited to write chapters for national drunk driving defense books published for other DWI lawyers who are learning how to beat of a DUI. Their chapters were published in 2016. Learn more about other DUI penalties in general and obtain a FREE lawyer consultation today by dialing 404-567-5515. We will call you back 24 hours a day.